Our loyal casual staff member and home front volunteer Kay Bryant shares the first part of a discovery she made about student Annie Osbourne Campbell who studied at GSA during WW1! Please also see the bottom of this post for a WW1 related Poetry Competition call out from the University of Glasgow. With all the recent press attention and events to mark the centenary of the Representation of the People Act, a law that granted some women over thirty the right to vote for the first time, it seems appropriate to highlight an intriguing connection between a former Glasgow School of Art student and Constance Markievicz, the first woman to be elected to the House of Commons. Annie Osborne Campbell (born 27 May, 1889) attended the Art School from 1910 to 1917. A very successful student, she was awarded a Haldane Traveling Scholarship and became an Associate of the School, obtaining her GSoA Diploma in 1916. Enrolled in the Drawing and Painting section, over the course of her school career she also took Design classes in Fashion, Plate and Lettering. 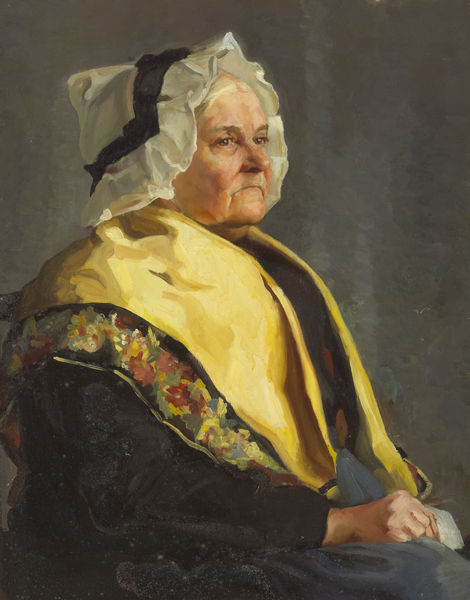 Sadly, I have not been able to trace any of her art works apart from one oil portrait, “Nanny”, which was sold by Whyte’s of Dublin in February 2014. The auction catalogue mentions an exhibition label on the back of the work identifying the artist and linking her to the school which reads: Session: 1913-1914 / Artist: Annie O. Campbell / Registration no. 387. The entry goes on to note that, “ the painting was formerly in the collection of Lissadell House and the sitter is thought to be a nanny employed by the Gore-Booth family. 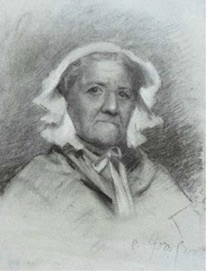 A pencil sketch by Constance, sold through Whyte’s (November 2007) bears a striking resemblance to the sitter”. Both pictures can be seen below, courtesy of Whyte’s website. Image courtesy of Whytes Auctioneers and Valuers. Constance Markievicz, nee Gore Booth (1868 – 1927) is remembered today as a politician and revolutionary nationalist and for her part in the Easter Rising of 1916, but she was also a gifted landscape artist and founder member of the United Arts Club in Dublin. Nothing in her background or early life suggested she would follow either career. Born into a wealthy Anglo-Irish family, Constance was brought up on the family estate of Lissadell, County Sligo. Schooled by a string of governesses, she enjoyed a comfortable, privileged upbringing, becoming a gifted horsewoman and a keen shot. Her father, Sir Henry Gore-Booth, was an Arctic explorer and adventurer, but unlike many of the big landowners in Ireland at the time, showed some interest and concern for his tenants, including providing them with free food during the famine of 1879-80. Her mother, Lady Georgina, established a school of needlework for women on the estate. Trained in crochet and embroidery they were then able to sell their wares to help support their families. This practical beneficence had a strong influence on Constance and even more so on her sister Eva who went on to become a labour activist, social worker, committed suffragist, a playwright and poet. In 1892, Constance went to study at the Slade School of Art in London and later moved to the Académie Julian in Paris where she met Casimir Markievicz, an artist from a wealthy Polish family in Ukraine, known to his fellow students as as Count Markievicz. Casimir was married, though separated, when they met, but conveniently, his first wife died in 1899 and he married Constance the following year. In 1901 their only child, a daughter named Maeve, was born in Lissadell and remained there with her grandparents when her parents moved on to Dublin to continue their artistic careers. In Dublin, Constance mixed with leading figures of the Gaelic League and became increasingly drawn towards nationalist politics. In 1908 she joined Sinn Féin and Inghinidhe na hÉireann (Daughters of Ireland), a militant women’s organisation founded by Maud Gonne, muse of W.B. Yeats. Contemporary accounts describe Constance going to her first meeting straight from a function at Dublin Castle wearing a satin ballgown and diamond tiara, which did not go down well. She soon learned. By the time she joined James Connolly’s socialist Irish Citizen Army, a small volunteer force formed in response to the workers lock-out of 1913, she apparently told other lady members of the movement to: “dress suitably in short skirts and strong boots, leave your jewels in the bank and buy a revolver” – possibly the best fashion advice ever! Read the second instalment of Kay’s discovery soon! 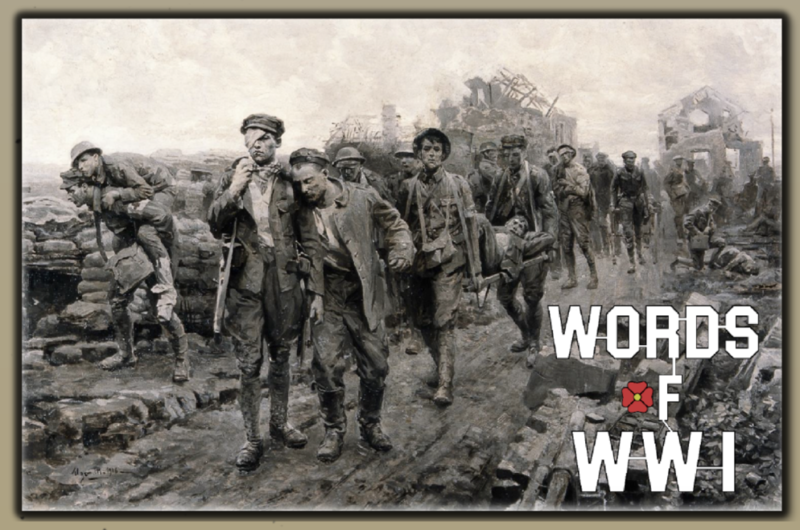 Click here for details of the University of Glasgow’s Words of WW1 Poetry Competition – hurry the deadline is the 5th of March! Competition brief provided by James Oberhelm, GSA MFA student. Image and brief courtesy of University of Glasgow.